Too cute! 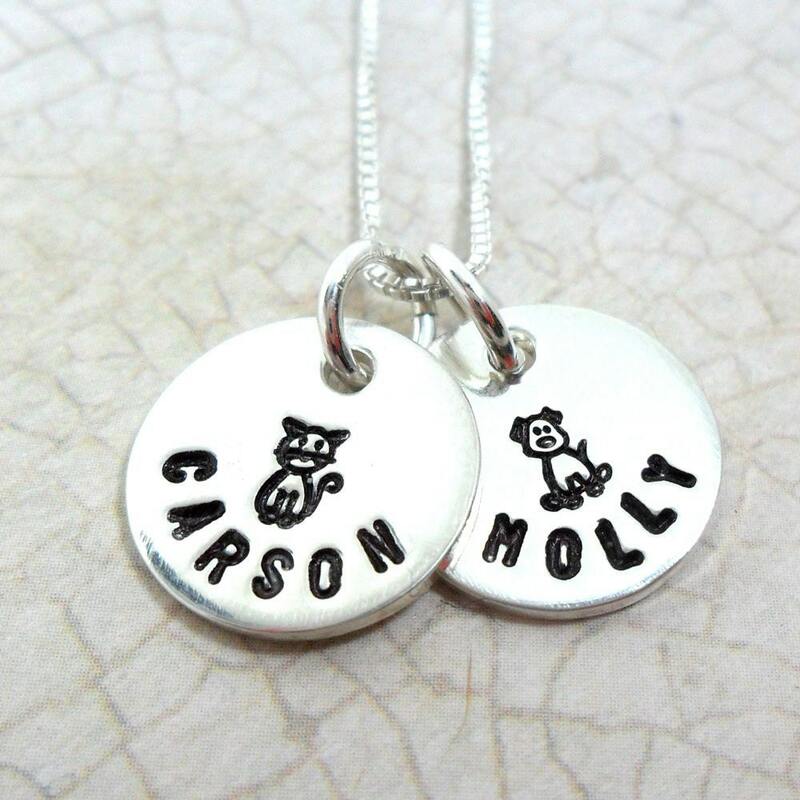 This necklace is adorable & would be a great gift for any pet mom! 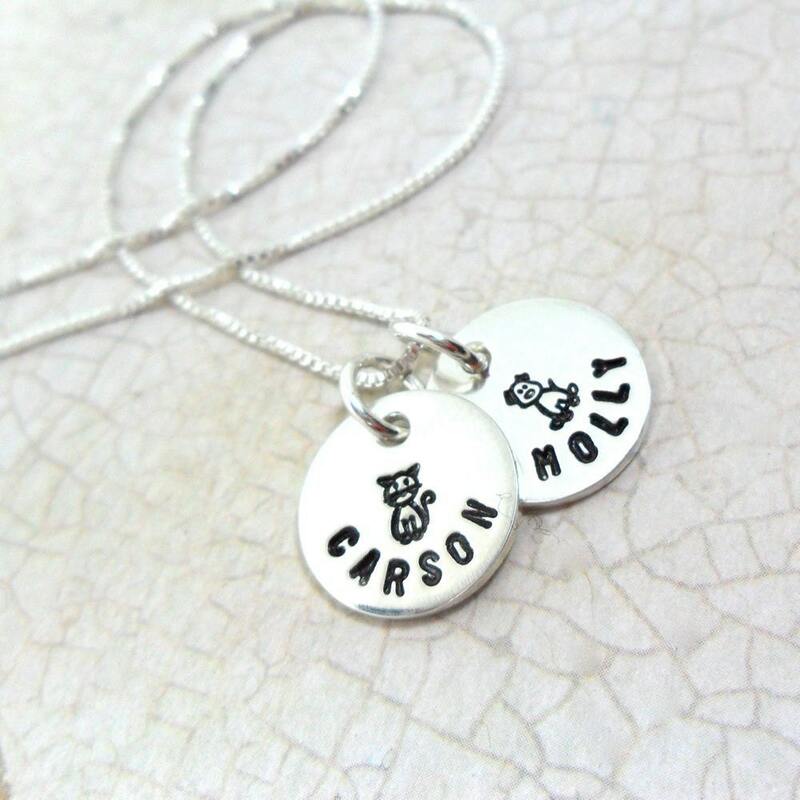 Two 1/2", thick 18 gauge, sterling silver discs will be hand stamped in my Tiny font around the outer edge with the names of your choice. 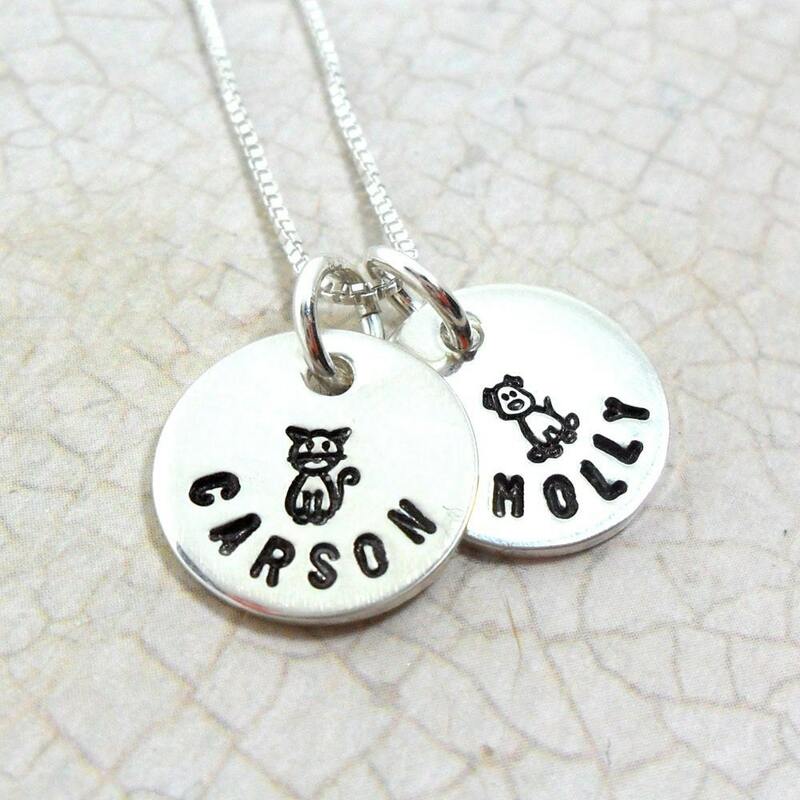 Each disc will then be hand stamped with a corresponding cartoon of a little dog or cat! All of the characters and cartoons will be oxidized for depth and contrast, then polished to a high shine. Please specify your name choices, as well as cartoon choices in the note space provided at purchase. If you have any questions, please let me know. This necklace is available in a single disc or triple disc version in my shop, but I can add discs too!